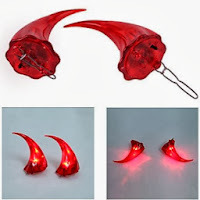 Amazon has LED Clip-On Devil Horns for only $5.48 shipped (reg. $22.98)! This are a great addition to your Halloween costume or party outfit.